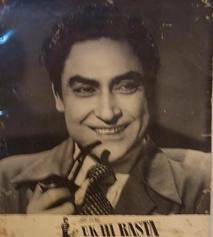 Ashok Kumar(13 October 1911 – 10 December 2001) was an Indian film actor. 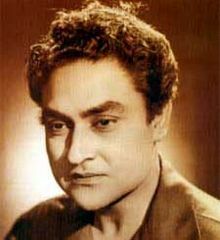 Born in Bhagalpur name as Kumudlal Ganguly, Bengal Presidency he attained iconic status in Indian cinema. Given his versatility and proven brilliance over five decades, he is considered by many to be one of the finest ever Indian actors. The Government of India honoured him with the Dadasaheb Phalke Award in 1988 and the Padma Bhushan in 1998 for his contributions towards Indian cinema.